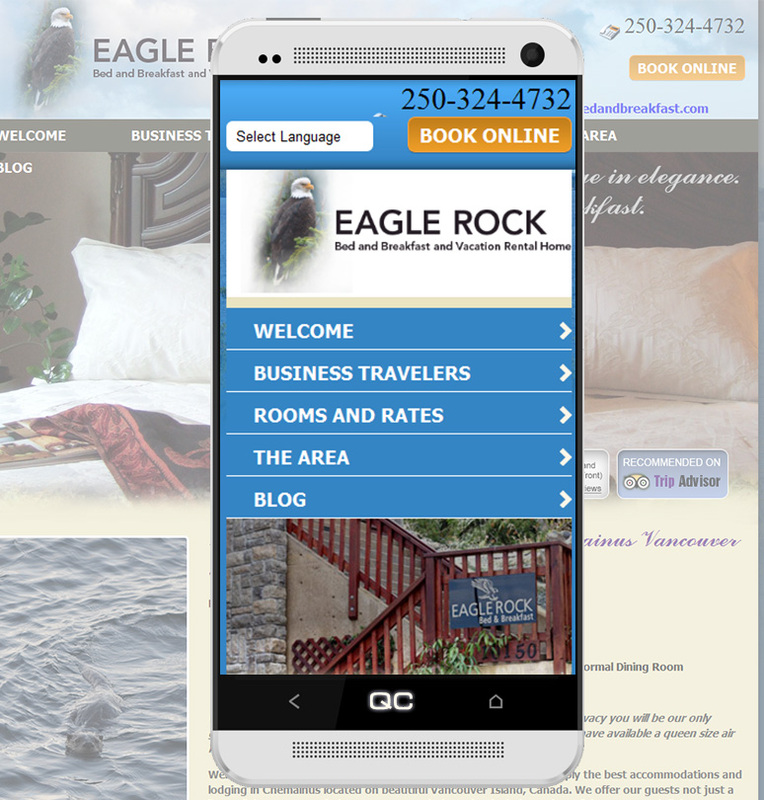 Welcome to the Eagle Rock Bed and Breakfast/Vacation Rental. 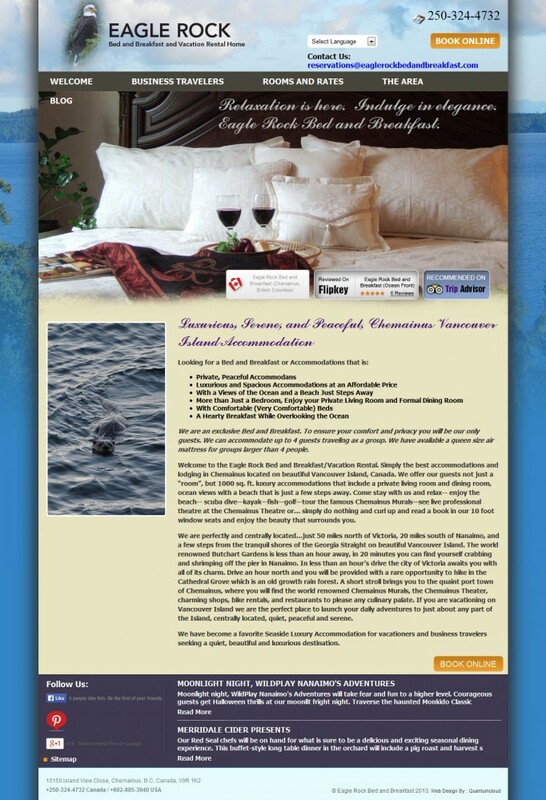 Simply the best accommodations and lodging in Chemainus located on beautiful Vancouver Island, Canada. We offer our guests not just a “room”, but 1000 sq. ft. luxury accommodations that include a private living room and dining room, ocean views with a beach that is just a few steps away. Come stay with us and relax– enjoy the beach– scuba dive—kayak—fish—golf—tour the famous Chemainus Murals—see live professional theatre at the Chemainus Theatre or… simply do nothing and curl up and read a book in our 10 foot window seats and enjoy the beauty that surrounds you.